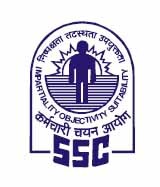 Staff Selection Commission (SSC) has published the marks of SSC MTS [Multi-Tasking Staff (Non-Technical)] Examination Tier-II which was held in the month of February 2018. SSC MTS Result was already declared on 28th april 2018. Candidates can check their marks of Multi Tasking (Non-Technical Staff Examination, 2016 (Paper-II) by below link from 16th May 2018 to 15th June 2018. Candidates may check their marks by using their Roll Number/ Registration ID and registration Password.